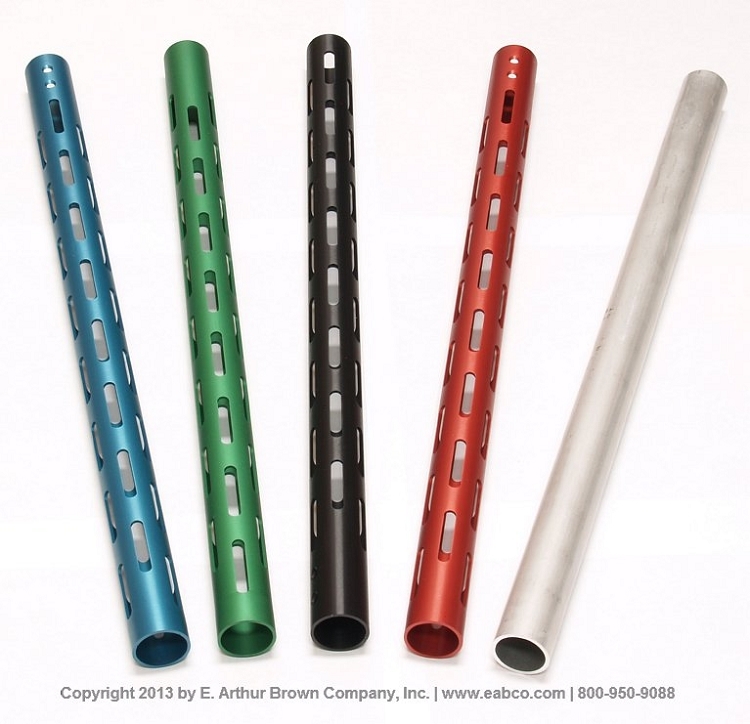 These colorful shrouds were specially made to fit the Green Mountain Ruger 10/22 Aero Shroud Barrel. They slip over the barrel and lock in place with two screws. 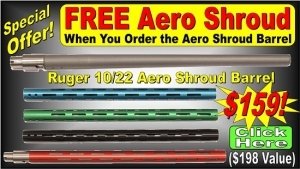 Aero Shrouds free-float the Aero Shroud barrel and fit 10/22 stocks with a .920" barrel channel. 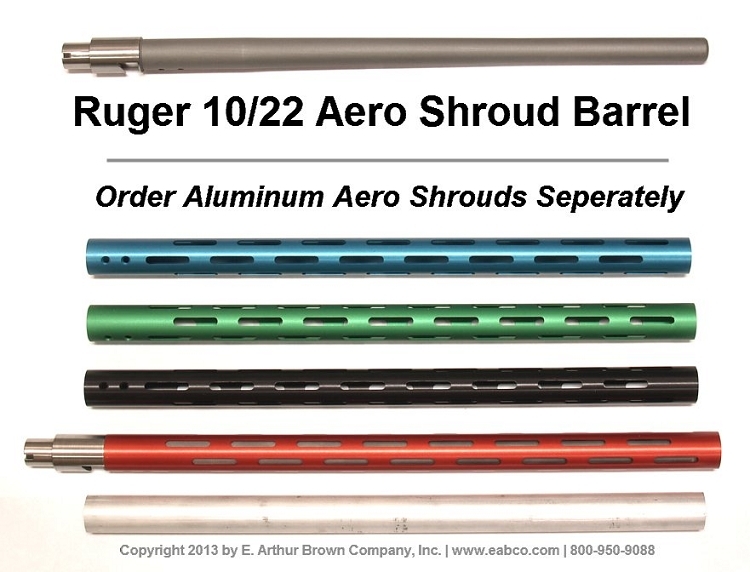 We discontinued the Aero Shroud BARRELs but if you have one, these shrouds will fit and are closeout priced CHEAP! Finished Shrouds are slotted, anodized, and drilled for screw mounting. We also sell an Unfinished Blank shroud for those who want to customize their own shroud design. Note: You will need a Green Mountain 10/22 Aero Shroud Barrel... These shrouds don't fit other barrels. it fit perfectly to the stock that I buy.